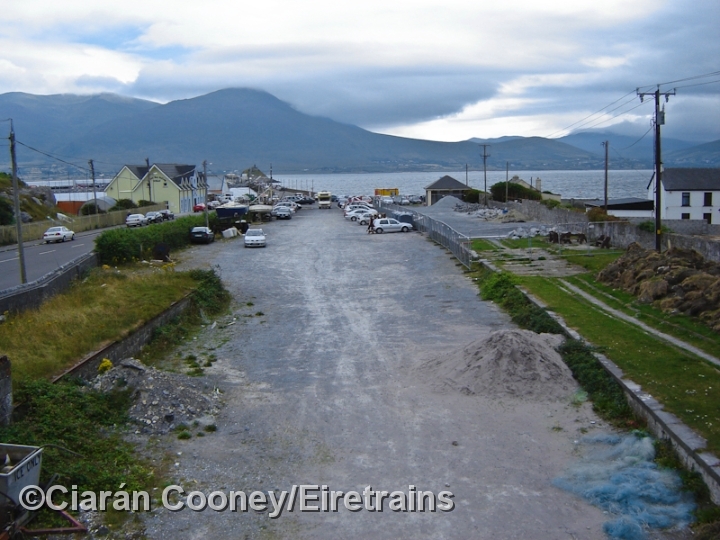 Fenit in Co.Kerry, is a small fishing harbour just west of Tralee on the Atlantic Coast. 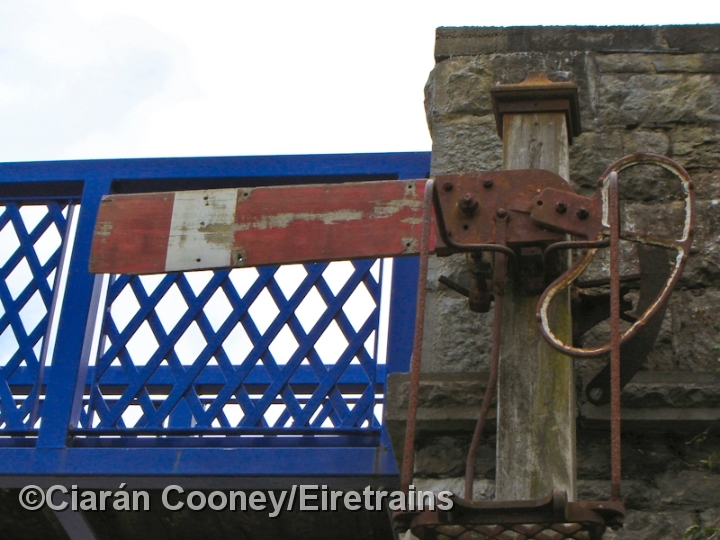 The village was served by a short branch line off the Great Southern & Western Railway's North Kerry line, which ran from Tralee to Limerick. 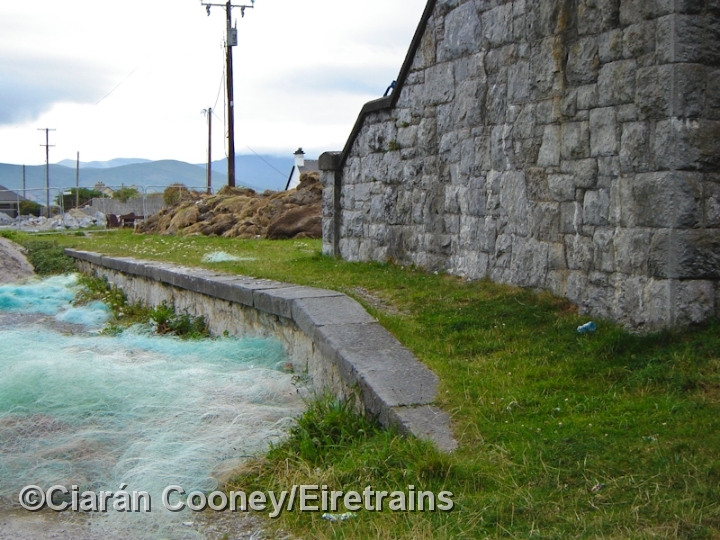 Passenger services to Fenit ceased in the 1930s, but the branch remained open for regular Sunday excursions, goods and sugar beet traffic. 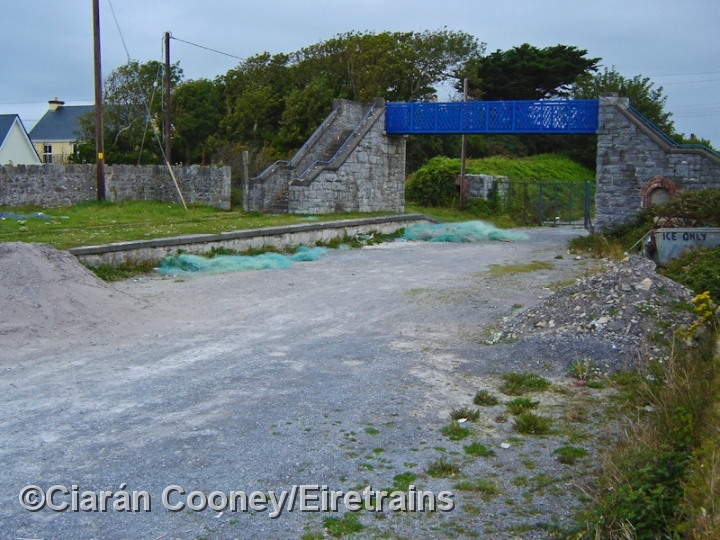 These trains ceased in 1977, with the closure of the North Kerry line, but the Fenit branch remained intact and wasn't lifted in 1988 unlike the North Kerry line. 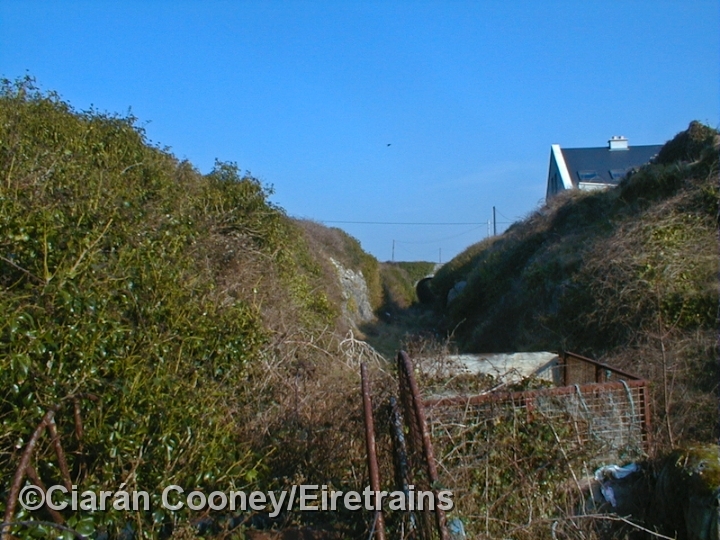 At the same time the Great Southern Railway Preservation Society planned to reopen the Fenit branch as a preserved railway, as much of the infrastructure remained intact. 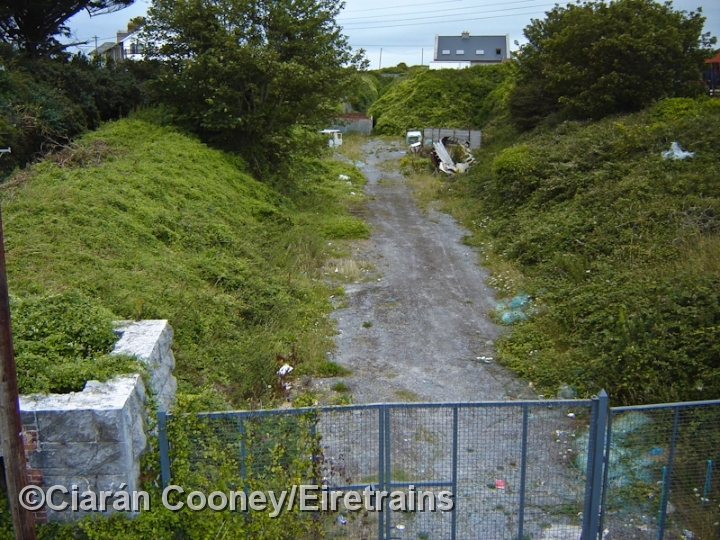 Sadly their plans never came about and the Fenit branch has declined into a very derelict state in the last 20 years, and a section west of Tralee is now disconnected. 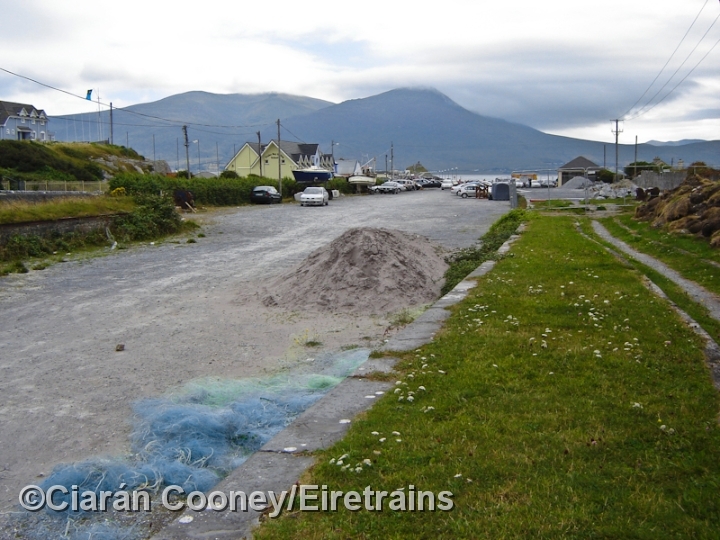 Whilst most of the line remains, the tracks at Fenit Station have been covered over, even though the line is still in CIE ownership. 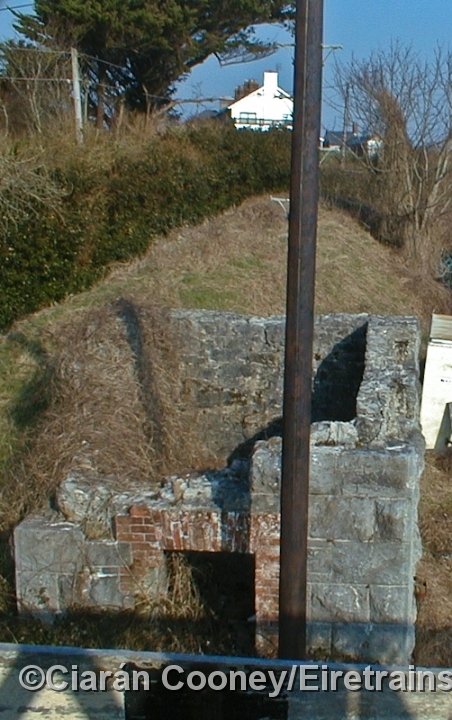 The station itself only boasted one platform and footbridge, the other station buildings had been demolished in the 1930s. 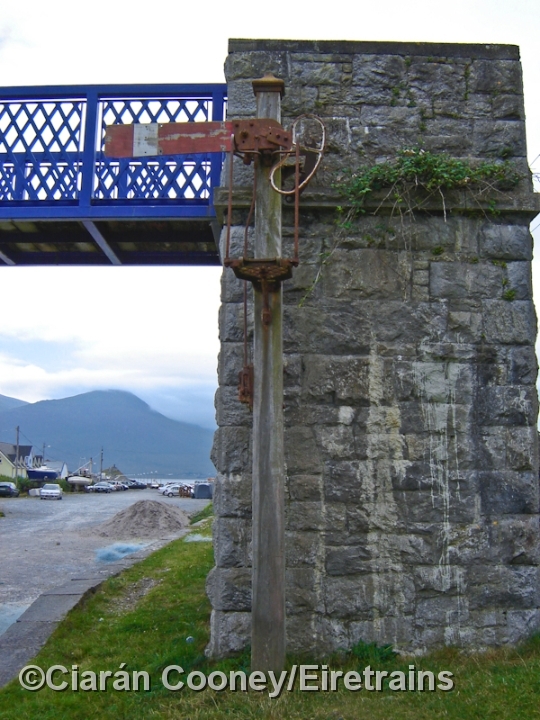 The rails on the harbour pier however remain.